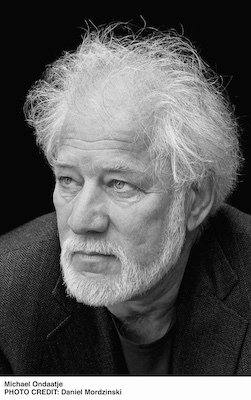 Michael Ondaatje is a writer whose books, for eager readers, don’t come often enough. He is also, as an eminent, excellent reader about his own work, as well as one of those who is curious and knows much about literature and the world, someone whose public appearances don’t seem to come often enough, either. We are grateful and delighted to finally be presenting him here this evening for his exquisite, extraordinary new novel, Warlight (Knopf). Published last spring to high international praise, this is an unforgettable novel of mystery and forms of longing and betrayal against a backdrop of World War II Britain. 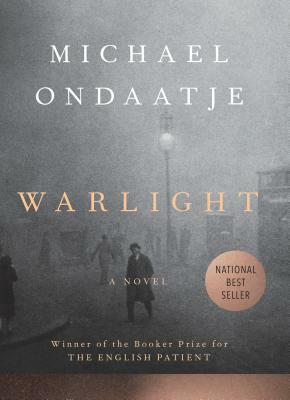 “Warlight is a quiet new masterpiece from Michael Ondaatje…An elegiac thriller [with] the immediate allure of a dark fairy tale. In Warlight, all is illuminated, at first dimly then starkly, but always brilliantly.” —Anna Mundow, The Washington Post. “[An] intricate and absorbing novel. . . . This is a book rich with detail. The reader is bound to be conscious of a hidden ballast of research, the seven-eighths of the iceberg without which the thing would founder, but so deft is the writing that you forget this, simply appreciating the meticulous background that brings alive a time and a place. —Penelope Lively, The New York Times Book Review. The author of numerous award-winning novels, collections of poetry, a memoir, Michael Ondaatje’s novel, The English Patient, received the 1992 Booker Prize, and the Golden Man Booker Prize in 2018. It will be a pleasure and honor to have him here once again this evening. Free admission is on a first-come, first-serve basis. Co-presented by THE SEATTLE PUBLIC LIBRARY and ELLIOTT BAY BOOK COMPANY.